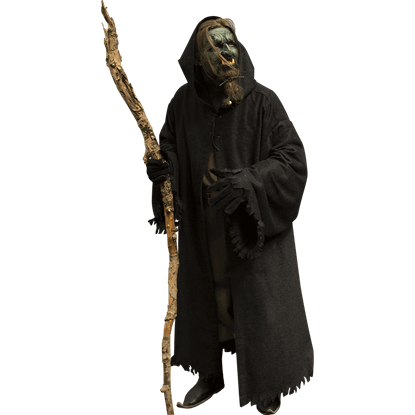 Whether worn by magicians or monks, our robes are great for characters from fantasy and history alike. 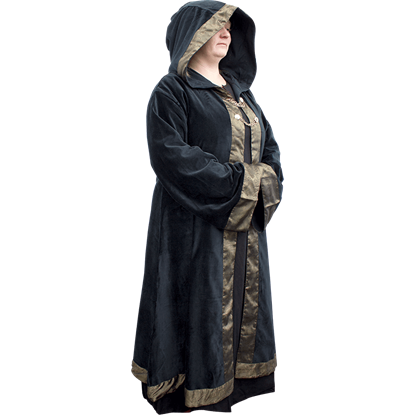 LARP Distribution offers a variety of wholesale robes that are great for live action roleplay, historical reenactment, theatrical use, and more. 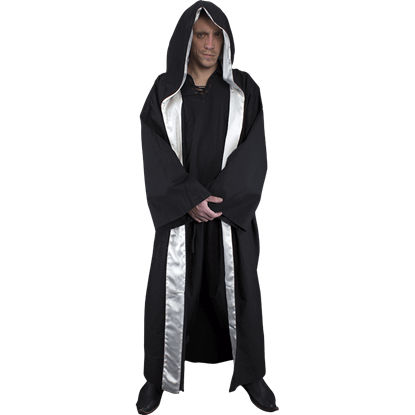 We offer wizard robes and priest robes, and many of our robes can be used by both. A robe is perhaps one of the most versatile garments in any wardrobe, so our wholesale medieval, Renaissance, and fantasy robes are essentials easily worn as an extra layer over any outfit. Many of the versatile designs are roomy, comfortable, and feature long sleeves and hoods. Shop all our high quality LARP and reenactment robes here. A successful prowl through the woods of the neighboring human kingdom requires you to hide your monstrous features beneath the hood of a tattered cloak. The Azog Robes serve as an excellent outer layer while roleplaying as an orc. 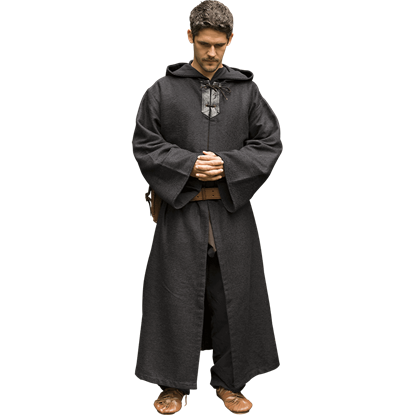 A versatile piece of medieval clothing, the Benedict Robe makes a great layer for your characters costume. The medieval robes are crafted from textured cotton and are secured below the neck with a tie-string and a soft leather plate. In the high fantasy realm, mages are usually at the apex of their culture, educated, highly respected, and in possession of great finery. For this reason, the Flowing Wizards Robe is one garment that no sorcerer should be without! You feel a disturbance on this planet, calling you to once again take up your weapon and defend the powerless from the powerful. 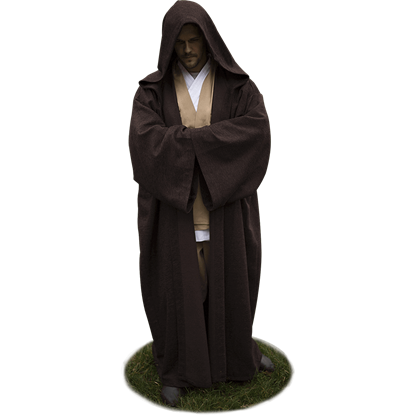 The Luke Robes offer a fantastic look inspired by the traditional robes worn by Jedi Knights. The lights of your spell flicker around you as you stand before the combatants of the enemy, ready to cast your next magical attack. Only a hint of your wicked smile can be seen from beneath the hood of your Magicians Robes. Wizards have to start somewhere and what better time to learn the intricacies of magic than the formative years of youth? 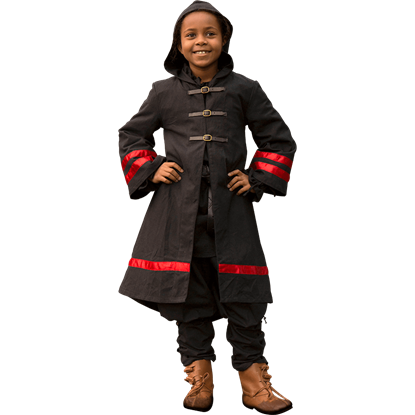 Dress your child, or apprentice as they are often called, in the proper garb with the Youth Wizard Robe!